The Skoda Kodiaq is big, burly and muscular, yet lean in its construction with dollops of technology and sophistication. 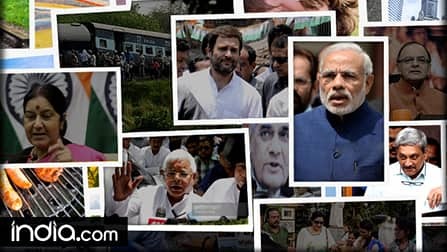 Is it any good against its rivals, we find out. 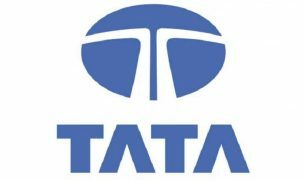 The premium SUV segment is gaining immense popularity in India and various car manufacturers are launching their offerings in this segment. 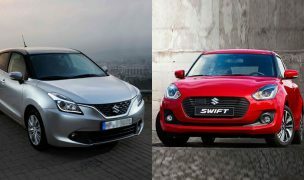 Skoda India had been conspicuous by its absence in this segment in the Indian market. That said, Skoda India has finally launched its flagship offering – the Skoda Kodiaq in India, priced at INR 34.49 lakh (ex-showroom, India). 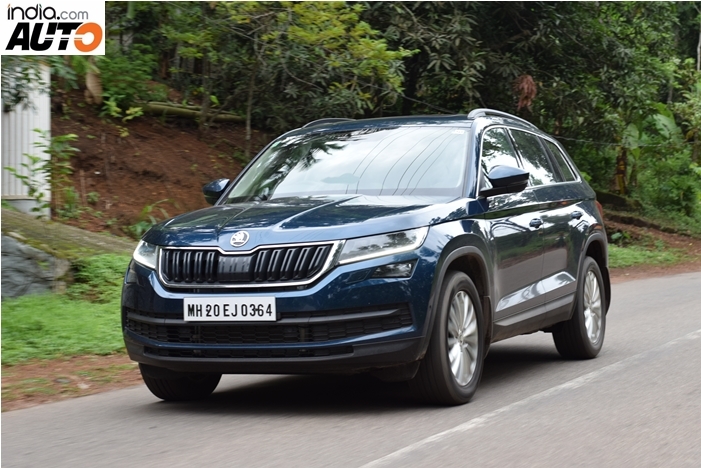 The Kodiaq is Skoda’s first seven-seat SUV in India that has been positioned above the Skoda Superb. The Skoda Kodiaq stays true to the company’s ethos of ‘Simply Clever’ by offering technological innovations and several segment leading features as compared to the competition. 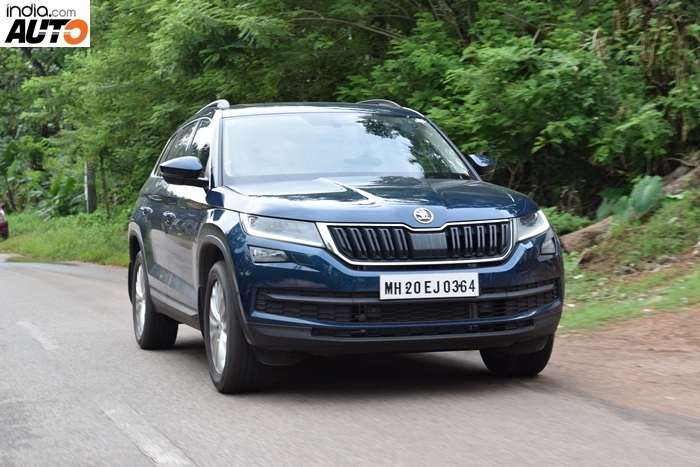 In fact, Skoda is offering a few features on the Kodiaq that are not available in a segments above. 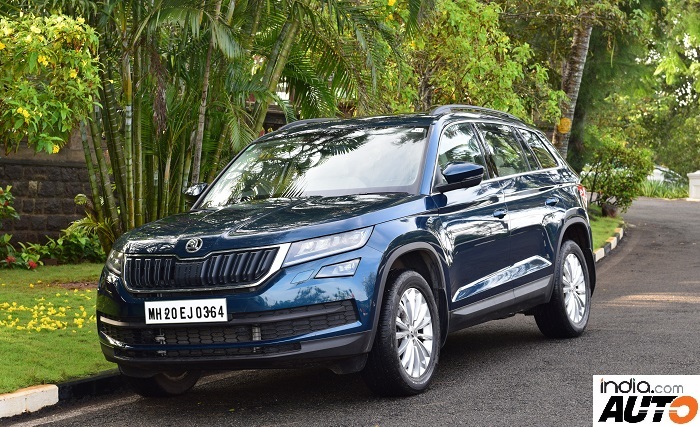 The Skoda Kodiaq is big, premium, feature loaded and offers good performance, but does it have what it takes to compete against the mighty Toyota Fortuner and the formidable Ford Endeavour, let’s find out? 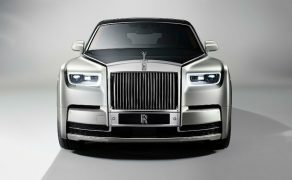 The profile is highlighted by large squarish wheel arches and the subtle character line that runs from the headlamps to the taillights. The SUV gets matte black roof rails while the windows get a chrome belt-line. 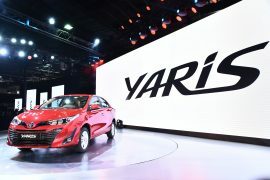 Unlike the European-spec model which gets the 19-inch alloy wheels, the India-spec model comes equipped with 18-inch wheels instead that are well suited for Indian roads. 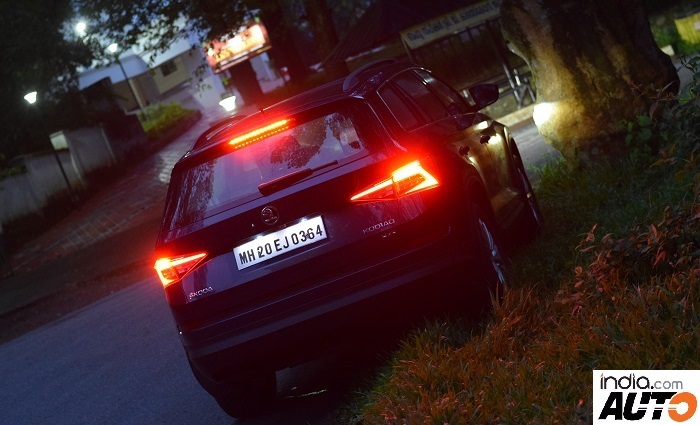 At the rear, the Kodiaq sports split LED taillights that receive the ‘Crystalline’ effect while the rear bumper gets black plastic cladding that add to the rugged design of the car. 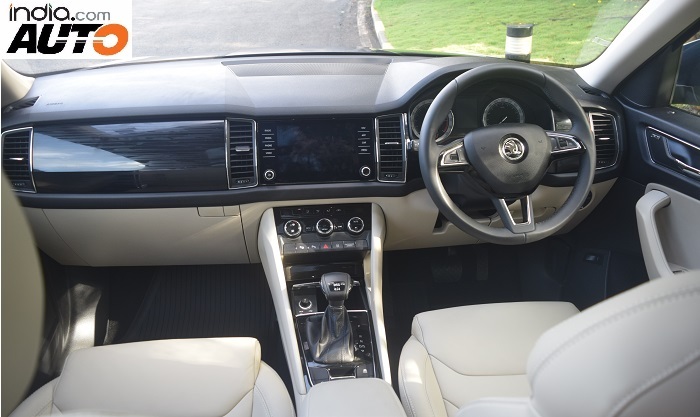 Skoda Kodiaq Interior – Dashboard Layout, Steering Wheel & Infotainment System. 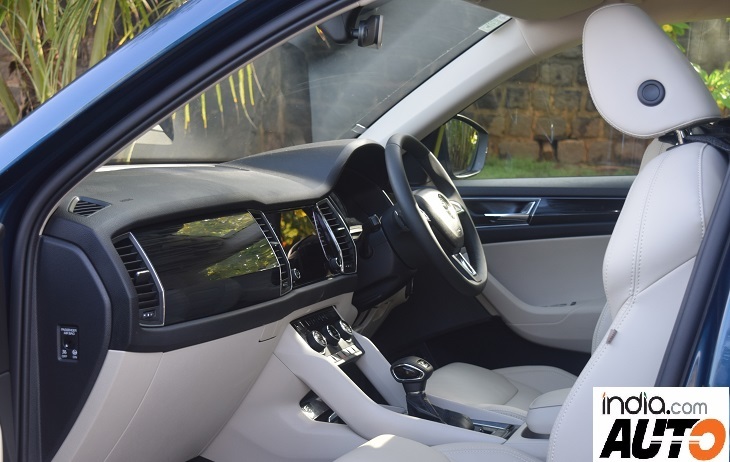 The interiors of the Skoda Kodiaq are inspired from the new Octavia and the Skoda Superb sedan. The cabin is roomier and the dual-tone black-beige finish coupled with the panoramic sunroof provides an airy feel to the occupants. The dashboard gets soft-touch plastic on the top-half, followed by wood finish below it. The bottom half uses sturdy plastics, which is finished in beige. The vertically stacked AC vents are designed to stay quieter and channel the air in a better way inside the cabin. 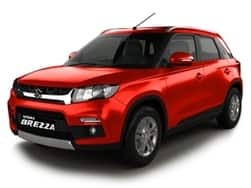 The SUV also get three-zone climate control system that works well in humid conditions. 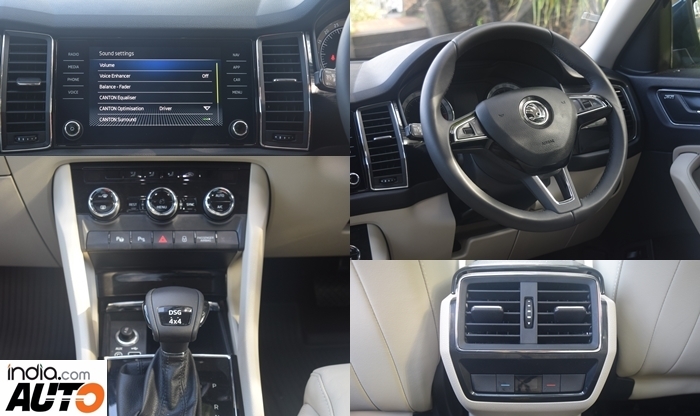 Skoda Kodiaq Interior – Centre Console, Steering Wheel, Rear AC Vents & Infotainment System. 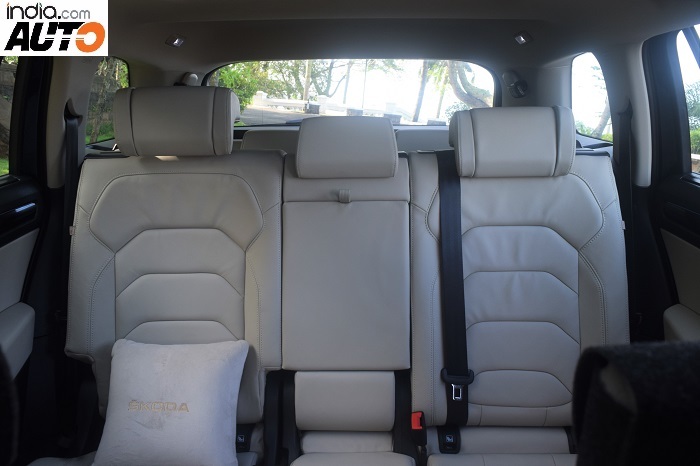 Speaking about seating comfort, Skoda has been dead spot-on with the Kodiaq’s seats. 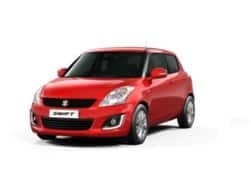 For instance, the front seats are electrically adjustable, well cushioned, wide and bolstered well, offering immense comfort. The instrument cluster is well put together while the steering wheel is adjustable for rake and reach, providing a good driving position. The second-row seats offer wide bench-type seating and seating three abreast isn’t an issue. While the seats are very comfortable and spacious, the transmission tunnel in the second row is a hindrance of sorts. That said, the second-row seats can be moved back and forth by 180 mm while the seats also get a 40:20:40 split. The ‘Simply Clever’ tagline is apt for the Kodiaq as Skoda is also offering a Power Nap Pack, which is nothing but cleverly designed head restraints on the second-row seats that can be tumbled down and used as head rests when you feel sleepy. Skoda is also offering blankets and pillows as part of the Power Nap Pack. 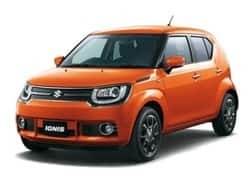 However, what defies the ‘Simply Clever’ tagline are the second-row seats that don’t tumble down all the way, making ingress and egress into the rear seats a pain. The third-row seats make you seat higher than usual, offering negligible under thigh support. While knee room is manageable, the legroom is very low. However, the middle row can be moved ahead a bit, liberating some amount of space for the last row passengers. That said, the third-row seats are best suited for children or short adults as long journeys will be quite uncomfortable. The Kodiaq gets a boot space capacity of 270 litres with all three rows up, however, it can be increased to 630 litres by flipping down the last row seats. The capacity can be further increased to 2005 litres by tumbling down the second-row seats. The Skoda Kodiaq is a feature-packed SUV that gets a quite a few segment-first features. The SUV comes equipped with an 8-inch capacitive touch-screen infotainment display that is paired with a CANTON audio system. The infotainment system gets support for Apple CarPlay, Android Auto and MirrorLink connectivity, while the infotainment system in itself can be controlled through a Smartphone via the Skoda Boss Connect App. The Kodiaq gets an intelligent digital voice enhancement system that transmits the driver’s voice to the rear seat occupants through the via the front microphone to the rear speakers. Skoda is also offering two umbrellas that are stacked into the dedicated front door pockets. One of the most cleverly designed feature is door protector, which juts out of the doors every time the doors are opened and juts back in when the doors are closed. Speak about another ‘Simply Clever’ feature to protect the doors from getting scratched. Furthermore, the boot is illuminated by a torch-light, which can be removed and used as a flashlight and placed back in. 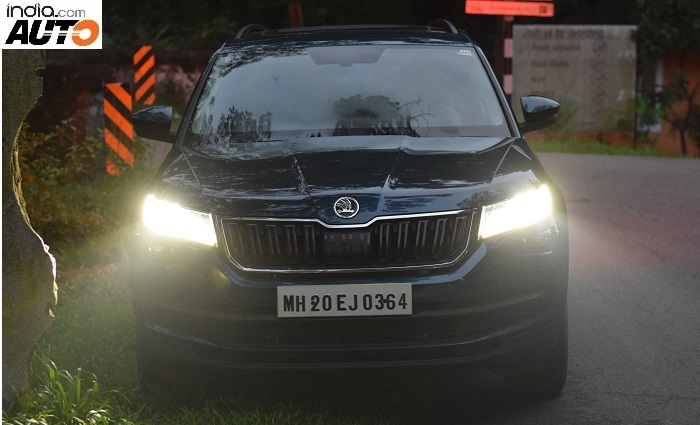 Similar to the Skoda Octavia, the Kodiaq also gets a 10-colour ambient lighting system. Skoda has been very serious about safety and the Kodiaq is no different. 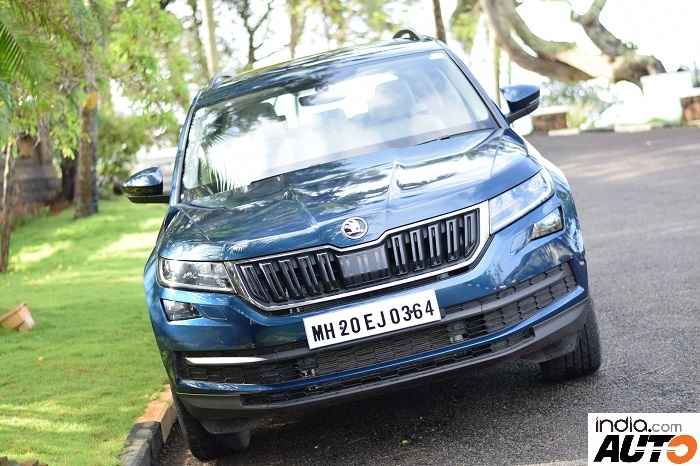 The Kodiaq comes equipped with a host of safety features like segment first 9 airbags along with other safety features like ABS with EBD, 360-degree parking sensors, electronic stability program (ESP), reverse-parking camera and traction control system among others. The Skoda Kodiaq also comes equipped with a fatigue alert system and a multi-collision braking system. Now before we get to the performance and handling bit of the Skoda Kodiaq, let’s first get the engine specs out of the way. 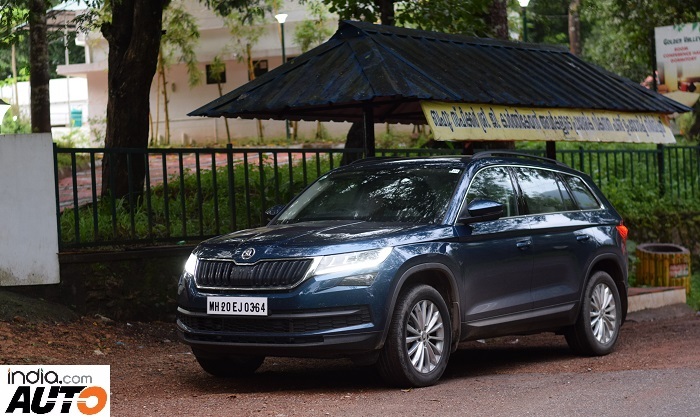 Skoda is offering the Kodiaq with only one diesel engine option – the 2.0-litre TDI unit that comes mated to the DQ-500, 7-speed DSG automatic transmission with paddle shifts. The turbo-charged diesel mill produces 148 BHP of maximum power at 3,500-4,000 RPM while developing a torque of 350 Nm that is available between 1,750-3,000 RPM. 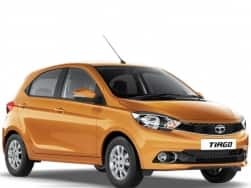 The company claims a fuel economy of 16.25 Kmpl. On paper, the power figures might feel sufficient, and to be honest, they are on a larger extent. But if you are expecting a sudden rush of power that will push you back in the seat, you won’t get that. The Kodiaq is a good highway cruiser and I say that in the best possible way. However, the engine delivers power in a more linear way. 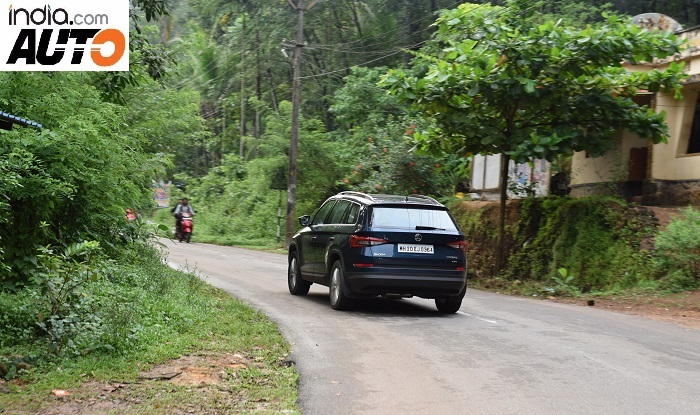 The steering felt light in city traffic, but weighs up quite well on the long highways and winding ghat sections. 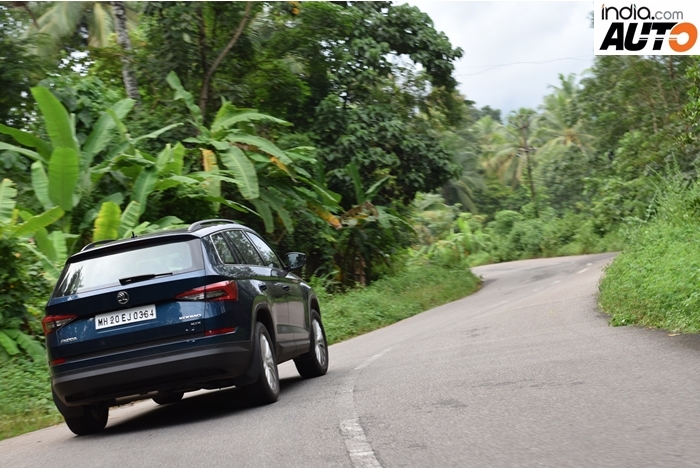 The SUV offers very good ride quality and the suspension soaks up bumps and potholes with aplomb. While the engine is well refined, the NVH levels are superb and hardly any noise filters into the cabin. 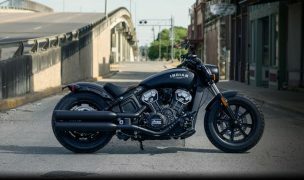 The McPherson struts and multi-link rear suspension setup provides a very good ride and handling. 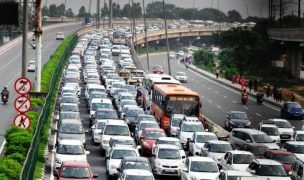 While you might feel bumps of larger potholes in city limits, the suspension setup just gobbles up all the road undulations on the highways. 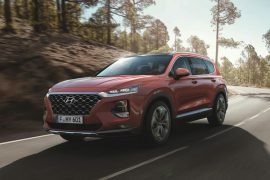 Another talking point of being such a large SUV is that the body roll is superbly controlled and you’ll feel minimal body movement while taking corners. The Skoda Kodiaq gets five driving modes – Eco, Normal, Sport, Snow and Individual. Skoda is also offering a Haldex 4×4 drive-train with torque vectoring system that delivers 96 percent of torque to the front wheels. However, as much as 50 percent of torque can be sent to the rear wheels when required. With all that said, the Skoda Kodiaq is a decent soft roader, at best, than being an off-roader. 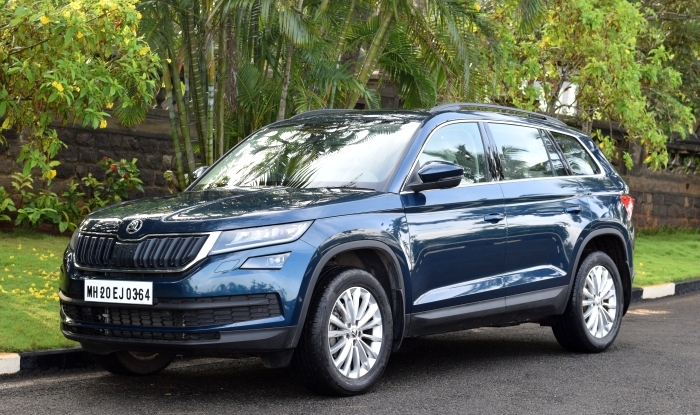 Skoda India has launched the Kodiaq in the country at a price of INR 34.49 lakh (ex-showroom, India). 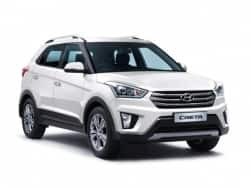 The SUV is available in a single ‘Style’ variant and offers a lot of equipment and safety features while offering decent performance and being a true 7-seat SUV. At this price point, the Kodiaq is slightly overpriced as compared to the Toyota Fortuner and the Ford Endeavour. That said, Skoda is positioning it as a ‘Simply Clever’ alternative to the likes of BMW X1, Mercedes-Benz GLA and the Audi Q3. In that regard, the Kodiaq is value for money and offers practicality as compared to its German competition but looses out on the outright snob value.